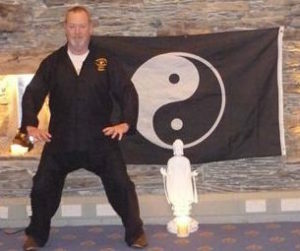 Ian and Jan Howie specialise in traditional Yang family Tai Chi Qigong. Classes on Monday at 10.00-11.00 a.m are based on the idea that everybody, no matter what age, can improve their health and wellbeing by practicing some simple but effective postures, and the movements to achieve those postures. Below is a quote from Sifu Peter Newton, China Bridge founder and senior instructor. We hope it gives you a greater understanding in what Ian and Jan aim to provide. Why medical Tai Chi and Qigong? The term “medi” means middle and therefore it is very appropriate to link this word to what Tai Chi and Qigong in fact do. They can be described as :- ” The processes involved in assisting a person to find the middle path of Spirit, Mind and Body”. If you would like more information or to join in classes please take a look on the Wirral Tai Chi and Chi Gong website or contact Ian on 07948794115. Buy our Gift Vouchers online! We’ve signed up the National Autistic Society’s Autism Hour campaign!